Henry Culpepper, 2 M0-10, 1 M10-16, 1 M26-45, 2 F0-10, 2 F10-16, 1 F26-45. Family Bible of Henry Culpepper of Laurens Co., GA. See: http://gen.culpepper.com/archives/ga/laurens.htm#HenryBible. "Henry Culpeper was born May 11, 1781"
"Henry Culpeper departed this life Jan 5, 1822." Edey Culpepper, 1 M10-15, 1 M15-20, 1 F5-10, 1 F10-15, 1 F15-20, 1 F40-50. Find A Grave Memorial# 129784368. Biography* 7 Feb 1887� The Dublin Post - 02-07-1887., An Octogenarian - Mr. U. G. B. Hogan was 83 years old last Monday, 24th of Jan 1887, Mr. W. J. Fordham, his son-in-law, and Mrs. Fordham, his daughter, prompted by their love for him, prepared a splendid birthday dinner and invited about one hundred of the neighbors with his children, grand-children and great grand-children to celebrate the "Old Man's" 84th birth day, (not 83rd birth day as Post said in last issue). Normally? Persons ate at the long table, the others being kept away by sickness. Brother Hogan is the father of six living children, has thirty-five grand children and thirty-five grand children and thirty-five great grand-children. He lived with his wife about forty-five years when death separated them He has lived at his present home fifty-two years and has been a member of Poplar Springs Baptist Church for nearly forty-four years. He had a fall nearly two years ago, from which he has never recovered since his fall. He has been almost helpless, confined to his bed and chair all the time. He submits to his condition with Christian resignation and is often cheerful and happy. He receives the kindest attention from Mr. and Mrs. Fordham with whom he has lived for many years. They seem never to tire of pleasing him. The anniversary occasion was one of unmarred pleasure, all mingling freely without restraint, and the old man on his easy chair partook of the joy. The dinner, well, it was right to a T. A large gobbler and his son (I suppose) presided for a short time and then gave place to sillabub and ice cake. Brother Hogan was rolled to the head of the table and was faced by Uncle John Dupree, another octogenarian, who asked for the blessing. We all felt good after dinner, and enjoyed social chat for a few hours, when brother Hogan had all to assemble for religious service. Brother Dupree conducted the worship and spoke very fewlingly for a short time, then was sung brother Hogans favorite song and prayer was offered for all by brother Dupree. Our social meetings are now over. Since the holidays began we have had seven superb dinigs in our neighborhood. We are happy people, blessed with peace and plenty and in love with each other. We go to work now in our fields hoping to be blessed through the year, and thus leave to our children no feuds to settle, but pleasant, recollections of happy occasions. Geo. M. Prescott. Find A Grave Memorial# 129784282. Henry Culpepper's Orphans, Martins District, Laurens Co., GA, drew lot 124/8/1 in what became Union Co., GA, 1832. Mathaly Culpepper and William T. Livingston on 24 Jan 1833 in Laurens Co., GA.
Elizabeth B. Culpepper and Cuthbert Adams on 4 Jan 1838 in Laurens Co., GA, Bk E-15. My name is John (Jack) Stoudenmire Carter and I am a descendant of Elizabeth Brazil Culpepper who married Cuthbert Adams on 4 Jan. 1838 in Laurens Co. GA. She is the daughter of Henry Culpepper. One of my brothers, James (Jim) Wyatt Carter, and I have been researching our family tree for almost 10 years now. Our relative, Cuthbert Adams is listed as an heir of Henry Culpepper in the Laurens Co. records of1839. I have made a trip to Dublin GA to research the Adams family using their extensive library of genealogical materials and have met Alan Thomas who allowed me to photo copy rare documents of the Adams family. We have encountered a road block relative to the Parents of Cuthbert Adams. My brother and I believe that he is the son of Peter Adams and Lydia Adams though he is not listed in a book naming Peter Adams children. We believe this since the census records show two male children born between 1810 and 1820 and also because Cuthbert Adams was given an identical lot to William Adams, the known oldest son of Peter Adams, in the estate of Peter Adams. William Adams was born in Jan. 1812. Cuthbert Adams was born in 1813 or 1814. Both were born in North Carolina. Other known children were Ethlinda Adams (1819), Sarah Jane Adams (1820), Wyriott Cason Adams (1823), and Mannassah Adams (1828/29). All of these children were born in Georgia. If you have any information regarding the parents of Cuthbert Adams or where he came from or perhaps know of other resources that we may research could you please let me know. I would be greatly indebted to you! P. 158, Captain Hill's Dist. P. 674, Camilla P. O.
E-mail written Aug 2008 to Lew Griffin from John Carter, e-mail address. "Sarah Culpeper was born Jan 16, 1804." Sally Culpepper and James Hightower on 9 Aug 1821 in Laurens Co., GA. Biography* � Most early records of Dooly County, GA, were destroyed in a courthouse fire in early 1847. Thus, for example, there are no marriage records before about March, 1847. Only a few court records survived the fire. Watts Powell practiced law in Dooly County. For many years, his son, Watts B. Powell was Clerk of Courts of Dooly County and was thus thoroughly familiar with the records of that county. He sent me a photocopy of the Family Register of James Powell and Celia Hilliard Powell. The Bible was inherited by Rebecca Powell and was handed down in the Yawn family. In 1963, the Bible was in possession of Starling Yawn of Byronville, GA.
"Temperance Powell third daughter of James and Celia Powell was born in Washington County on the 14th November 1814." The register shows that the next child, William Martin Powell, was born in Pulaski County, GA, on 5 Apr 1816. After the birth of Sarah Powell on 3 Jan 1819 and before the birth of Mary Powell on 15 Aug 1821, the James and Celia Powell family relocated to Laurens County, where they appear on the 1820 census with an elderly man in the household. I believe the elderly man was Charles Powell, Sr., father of James Powell, but I have been unable to prove this with other data. [There were several Charles Powells in the records of Laurens County and it gets mighty confusing trying to differentiate them.] Celia's father, Major Hilliard, was still living in Washington County, GA, where he was enumerated on the 1820 census, so the older man could not have been Celia's father. Watts B. Powell included a section in his Volume II on "Cemetery Listings". Page 268: "Culpepper, John S.: 1806-1849; native of Edgefield District, South Carolina" This tombstone is in the Traveler's Rest Methodist Church Cemetery, located just south of Montezuma in Macon County, GA. James and Celia Powell are buried there, too. I visited the cemetery in the early 1980s but it was so overgrown I was unable to find their headstones. The church building had been abandoned and was in terrible disrepair. I suspect it no longer exists. I have photographs of the church as it appeared in the early 1980s. It seems that the Powells resided in the part of Dooly County that became part of Macon County. HISTORY OF MACON COUNTY, GEORGIA, by Louise Frederick Hays, reprinted 1979 by The Reprint Company, Spartanburg, SC, includes a census of the tombstones in the Traveler's Rest Methodist [Chruch] Cemtery, beginning on Page 467, where the headstones of James and Celia Powell and John S. Culpepper are reported. This account of John S. Culpepper's tombstone has the words "born" and "died" spelled out. Dooly County "Minute Book A" survived the fire and contains data on the settlement of the estate of John S. Culpepper on pages 68, 69, 75, 81, 86, 97, 104, 126, 133, 164, 212, 257, 312, 367. Temperance Culpepper and Charles Powell were the administrators of the estate. I do not have copies of these pages. One of the things I have not done in my Powell research is to check the court records of Macon County. This needs to be done for both Powells and Culpeppers. Pages 240 and 504 of the Minute Book show that Charles Powell was guardian of Ambrose Culpepper (who was apparently old enought to choose his own guardian) and also the "orphans" (fatherless children) James Davis Culpepper, Lenora R. Culpepper, Mariettta I. Culpepper, and John Culpepper. My ancestors James Powell and Hilliard Powell both died in the 1840s, and while searching the ALBANY PATRIOT newspaper for information about them, I found the following regarding the estate of John S. Culpepper in the 28 JUN 1850 issue. Application for letters of adminstration were filed on 22 MAR 1849. [So John S. Culpepper died before that date.] Temperance Powell filed a petition for her dower land, which legal notice began on 22 FEB 1850. Charles Powell, administrator, and Temperance Culpepper, administrix, filed a notice of an Administrators' Sale of all lands and slaves of John S. Culpepper, which legal notice also began on 22 FEB 1850. Another notice of an Administrators' Sale by Charles Powell and Temperance Culpepper began on 18 OCT 1850. There was a reference to land on the north side of Hog Crawl Creek in the First Land District of Dooly County, "five miles below Traveller's Rest on the river road." Dooly County Deed Book B, Page 256, reported by Watts B. Powell, Volume I, Page 215: 18 JAN 1850: "Charles Powell and Temperance Culpepper adms. of the estate of John S. Culpepper, decd. give final receipt to Ambrose Powell adm. the estate of James Powell decd." Watts B. Powell's list of heads of households in Dooly County in 1840 does not show John S. Culpepper as a head of household. In 1850, Temperance Culpepper was listed as a head of household, residing adjacent to her mother, Celia Powell, who was residing with Celia's daughter, Mary Powell (Mrs. Fielding) Reynolds. Watts B. Powell's Volume II, Page 169. In Dwelling 426: Temperance Powell, age 36, born GA, Ambrose, 12 James D., 9 Lenora R. L., 6, Mary Etta J. [Marietta J. ], 4, John L., 1, Sary A. Brown, 18. So my review finds no evidence that John S. Culpepper and Temperance Powell Culpepper had any surviving children except those who appeared on the 1850 census of Dooly County and in the settlement of the estate of John S. Culpepper, including Guardian's account. Inventories & Appraisements 1847-1863, page 120. Temperance Culpepper (3 slaves): 22F, 10F, 10F. David D. Culpepper and Elizabeth Smith on 8 Nov 1833 in Laurens Co., GA.
John Kitchens, 23, M, VA, School Teacher. + Bryant A. Culpepper, 28 Aug 1834 - 17 Jul 1899. 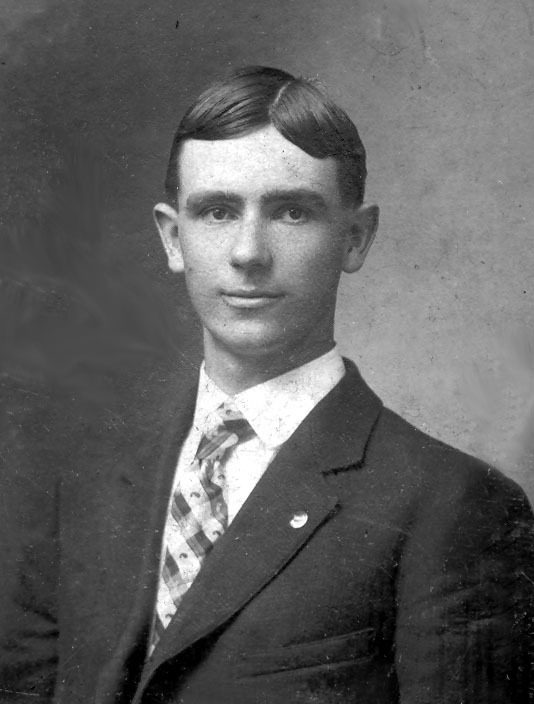 Walter Culpepper, Son, M, Nov 1887 (12), S, GA/GAGA. David W. Culpepper, 1 M0-5, 1 M5-10, 1 M20-30, 1 F0-5, 1 F20-30. Camilla Enterprise, Camilla, GA(No website as of Dec 2005). Obituary of William Henry Culpepper, published 25 Oct 1946. E-mail written 1999 to Laurens Co. GA Query Forum from Rose Parks, e-mail address. Eason A. Culpepper and Queen Ann Jones on 20 Feb 1838 in Laurens Co., GA, Bk E-22. M. P. Dunlap, 27, M, teacher, NC. Research note � DNA testing reveals that descendants of Elijah carry a unique DNA marker that is also shared by descendants of Joseph Culpepper of Jackson Co., GA, but by no other Culpeppers in the DNA project. Joseph's descendants have two additional unique markers not found with Elijah or anyone esle. Thus, these lines are closely related, and given their age differences, the most likely explanation is that Elijah is a son of Malachi, and Malachi is a brother of Joseph of Jackson. Elijah's unique marker should be carried by all descendants of Elijah's grandfather, Joseph Culpepper of Morgan. 1840 Census* 1 Jun 1840� Elijah was listed as the head of a family on the 1840 Census on 1 Jun 1840 at Stewart Co., Georgia. Elizabeth Culpepper, 2, F, Muscogee Co., GA.
+ E. C. Culpepper, 12 Sep 1812 - 11 Aug 1889. Elijah Culpepper, 2 M0-10, 1 M26-45, 1 F10-16, 1 F26-45. Elijah Culpepper, Blackshears District, Laurens Co., GA, drew lot 411/19/2 in what became Cobb Co., GA, 1832. Elijah Culpepper, 1 M20-30, 1 M60-70, 1 F15-10, 1 F60-70. 1840 Census 1 Jun 1840� Elijah was probably a free white male, age 20 and under 30, in Elijah Culpepper of Stewart Co. GA's household, on the 1840 Census on 1 Jun 1840 at Stewart Co., Georgia. Stewart Co., GA Deed Book K, page 39. E. Clarkes Culpepper and Mary Boann on 30 Aug 1841 in Stewart Co., GA.
Elijah C. Culpepper and Lucy A. Carson on 4 Jan 1853 in Stewart Co., GA.
Charles Culpepper, 3, M, W, AL. David Culpepper, 1, M, AL. Wesly Culpepper, Other, W, M, 18, Convict, AL/GA/-- Work On Farm. Crain Cemetery, Section 6, page 204. Harrison Culpepper, Son, M, sng, Wh, 3, Farm Laborer, AL/GA/GA. Callie Culpepper, Sister, W, F, Feb 1872, 28, Sng, AL/GA/GA. Rochelle T. Farris and Lavina Jordan Helms, Coffee Springs, Alabama: A History, Montgomery, Alabama: Herff Jones Yearbook Publications, 1982, Repository: LDS Family History Library - Salt Lake City, Call No. US/CAN 976.1292/C1 H2f. + Joanna Culpepper, 15 Sep 1874 - 13 Mar 1948. Andrew Harrison Culpepper, Hacoda, Geneva Co., AL, Age 41, born 25 Jan 1877, White, Farmer, Nearest relative: Callie Culpepper of Hacoda, Medium Height, Stout Build, Gray Eyes, Dark Hair, Registered 12 Sep 1918 at Geneva, AL. E-mail written Jan 2014 to Warren L. Culpepper from Allison Graves, e-mail address. 1840 Census* 1 Jun 1840� Neil was listed as the head of a family on the 1840 Census on 1 Jun 1840 at Muscogee Co., Georgia. Georgia Secretary of State, compiler, Georgia's Virtual Vault, Georgia Archives, 2006. "Charlie C. Culpepper, male, white, born 26 Dec 1860 in Dooly Co., GA, son of David Culpepper (born in GA) and Janie Calhoun (born in GA), married to Annie Culpepper, residing in Stockton, Lanier Co., GA for four months, died 22 Nov 1924 in Stockton, Lanier Co., GA at age 63 years, 10 months, 27 days. Cause of death: "hit by a through freight train and mangled to pieces". Buried 23 Nov 1924 in Stockton, Lanier Co., GA. Informant: S. D. Culpepper of Stockton, Lanier Co., GA."
Neil Culpepper and Eliza Channel on 21 Jan 1840 in Muscogee Co., GA.
Neil Culpepper, 2 M10-15, 2M20-30, 2 F15-20. 1840 Census 1 Jun 1840� Elizabeth was probably a free white female, age 15 and under 20, in Neil Culpepper's household, on the 1840 Census on 1 Jun 1840 at Muscogee Co., Georgia. "Then Elizabeth (Channel) Culpepper married Francis Osburn/Osborn in 1851. They had a child, Henry F., b. 1852 in GA or AL. (I haven't found this birth record.) Francis died and Elizabeth married James Wilkey in Russell Co., AL on Dec 30, 1857. They lived in Barbour Co., AL for the 1860 and 1870 census records. In the 1860 census Henry F. appears as a "Wilkey"; however, the marriage date for Elizabeth and James was several years after his birth. He is not with them in the 1870 census. Her son, Elijah C. Culpepper, is living close to her in the 1870 census for Barbour Co., AL. E-mail written Mar 2007 to Warren Culpepper from Diann Wilkey Montgomery, e-mail address. Thomas Channel, 25, M, Farmer, GA.
E-mail written Sep 2014 to Lew Griffin from Gary Carson, e-mail address. Soldier: Griffin H. Culpepper, Georgia, Infantry, 11th Regiment, Co. B.
E-mail written Mar & Jul 2010 to Warren L. Culpepper from Shelley Cummings (2gt-gd/o #61334), e-mail address. Division 20, Crawford, Georgia; Roll M432_67; Page: 397A; Image: 38. Eulia G. Culpepper, 1, F, GA.
Alberta Culpepper, F, 5/12 (Jan), S, TX GA GA.
ED 93, sheet 7, line 82. Annie E. Culpepper and Harry L. Blackwell, 6 Dec 1899, Ouachita Parish, LA. Berta Blewster, Wife, F, Wh, 30, md1-8yrs, ch 0/0, TX/GA/GA.